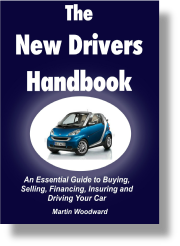 Written with over 45 years of experience by a retired ex top driving instructor and Advanced Driver, this is sure to save the reader many times the cost of this guide. This makes an excellent gift for anyone who has just passed their driving test! Kindle version also available click for details. IMPORTANT: After payment is complete click the BACK TO MERCHANT button where you will be redirected to where you can download the guide instantly!